Our Nate Certified HVAC Technician will provide you with a Free AC Installation Quote. We Offer Flexible AC Repair Appointments. Same-day, Evenings or Saturdays at no extra charge. Prevent AC repairs & maintain your warranty with air conditioner maintenance. Whether you own a home or a business in Chicago, the suburbs, or in NW Indiana, you can appreciate a good value. At Polar Heating and Air Conditioning, we provide homeowners and business owners with affordable Goodman Air conditioner services. We provide installation, repair, and maintenance of all makes and models for Goodman air conditioning equipment. When you choose Polar, you can expect the best. We are known for our honesty and integrity, as well as offering the best equipment, at the best price, and always installed by the best in the business. 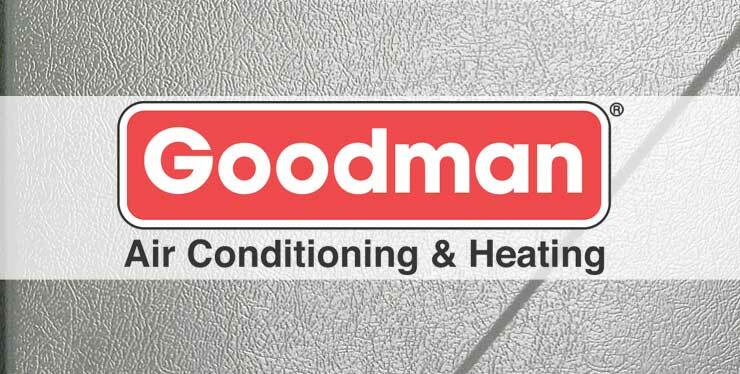 Are you looking to have a new Goodman air conditioner installed in your home or business. We can send a trained HVAC technician out to give you a proper estimate based on your exact needs. At, Polar, we work around your schedule. We offer all of our customers flexible scheduling including nights and weekends. All estimates on new equipment are always free and with no obligation to you. Contact us today to find out how much you can save on your new Goodman central air conditioning system. When the heat soars in Chicagoland, central air conditioning systems are running at their peak. This means that they are more susceptible to break downs. If you are looking for a Goodman Air conditioner repair service that will treat you right, and get the job done, look no further than Polar Heating and Air Conditioning. Our Nate Certified Goodman air conditioner repair experts can fix any make and model of unit. We fully stock all of our heating and cooling repair vehicles to provide our residential and business customers with prompt service. When it comes to price, Polar won’t be beat. We offer all air conditioning repair customers a FREE second opinion if you already have an estimate from another Chicago HVAC company. 24 hours a day, 7 days a week, we are here for you. If you need prompt and affordable service, click or call us today. 24/7 Support: We will repair your air conditioner 24 hours a day, 7 days a week. Prompt Service: Fully-stocked, dispatched service vehicles allow us to perform ac repair, maintenance, and installation quickly. Guaranteed Best Prices: We will beat any reasonable air conditioning installation or air conditioner repair estimate from any legitimate air conditioning installer by up to 5% including Four Seasons Heating and Air Conditioning, All Temp, Home Depot, ARC, Service Experts, Chicago Heating Repair, Hoekstra, Sears Home Improvement, Artisan Heating, or Integrity Heating, call us…we’ll beat it!! Flexible Scheduling: No extra charges for evening or Saturday appointments. Superior Customer Service: Our goal is your complete satisfaction with all aspects of your air conditioning system.